Description Many games involve avoiding. It's one of the most basic forms of gameplay. Even playground games like tag are based on the concept of avoidance. Avoid! (The Game) boils down avoidance gameplay to its core elements. 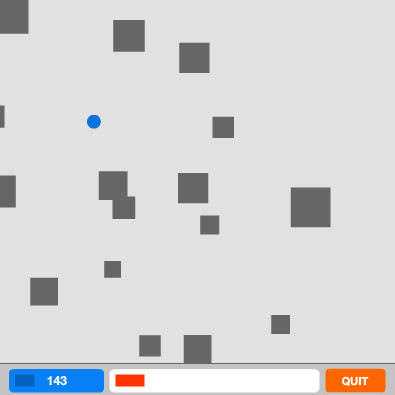 Play through a series of mini games in which you must keep away from gray objects. The gray objects come in different shapes and sizes, and appear in different ways. To pass each level, you must reach the "target score" for that level. Your score increases with each second you stay alive. Very nice game which unites different avoiding levels. Cool relaxing music.